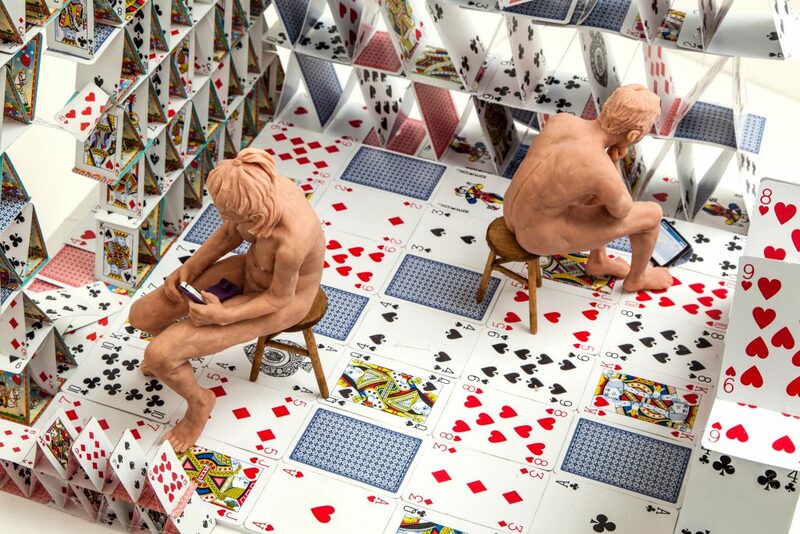 These controversial sculptures depict the shocking realities of social media addiction. 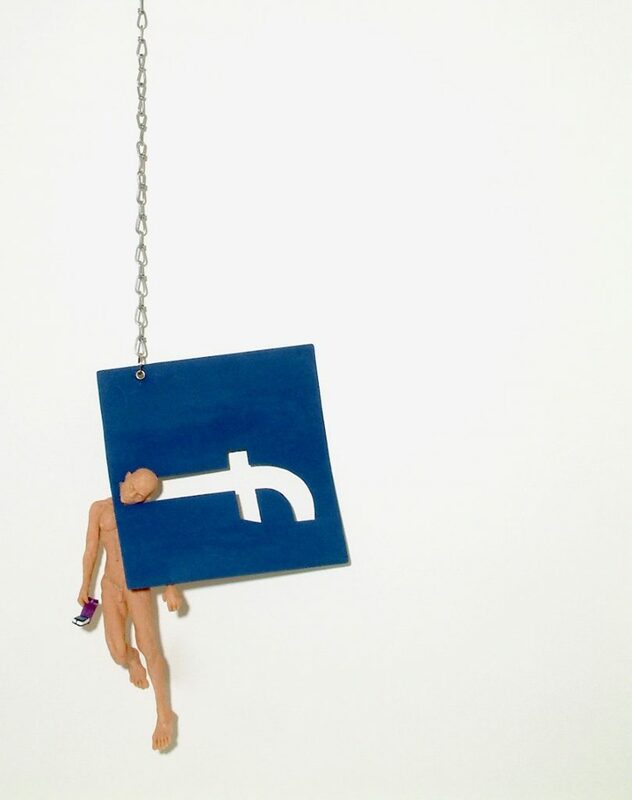 Artist Teresa Wells, 57, has courted controversy with the creation of ‘End’, which depicts a person being hanged by the Facebook logo. 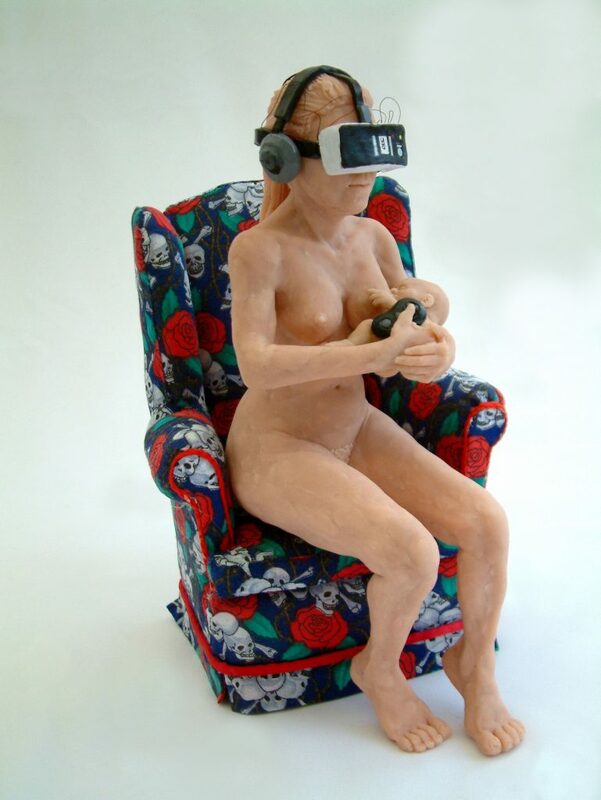 All together she has created seven 30cm-tall figurines, made from polymer-based clay, to provoke a reaction to how social media is ‘killing’ the way we communicate. 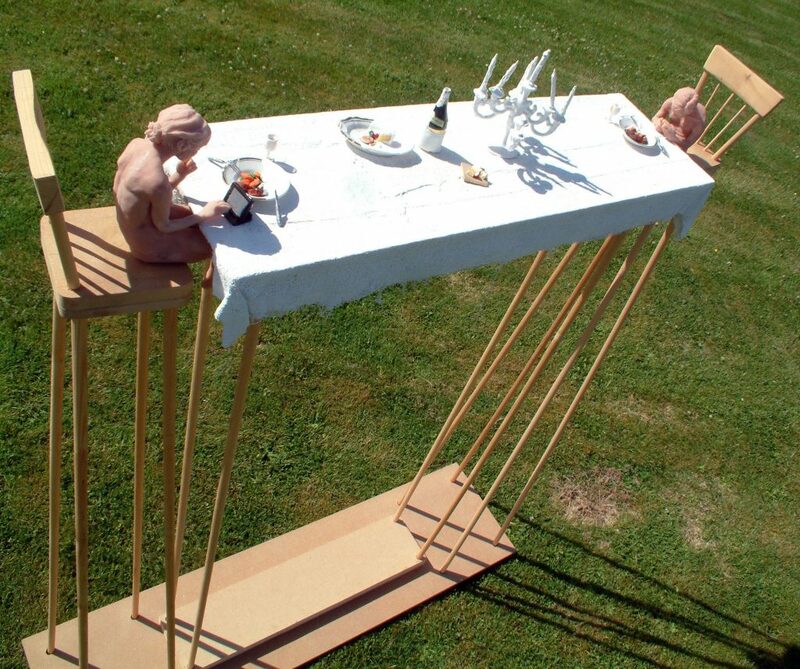 One installation, called ‘Happy Anniversary’, shows a couple sat at opposite ends of a long table, with uneaten plates of food in front of them; mobile phones and tablets in their hands, clearly ignoring each other. Another named ‘Hashtag Tragedy’, which was installed at a beach in north Norfolk, depicts a sailing disaster in which two onlookers capture images on their smart devices of a washed up body on the shore. And four other pieces from the same collection show similar social media situations, demonstrating the drastic and often devastating consequences that arise from our changing communication habits. Teresa, who lives in Brixworth, Northants and has a studio in Harborough Magna, Warks, said: “In ‘Hashtag Tragedy’ these people are clearly not taking the situation seriously, and are more concerned with capturing images of the tragedy than anything else. “With this whole project I wanted to represent our change in empathy – our inability to empathise with others because we’re so absorbed with our online lives. Teresa first began this project after her son was diagnosed with Asperger’s Syndrome in 2010, when he was just ten years old. The artist of more than 10 years, who specialises in bronze installations, has had her works exhibited at venues including the Oxo Gallery in London and 82 MERCER in Soho in NYC. ‘End’ has now been bought by a collector in the US, where Teresa hopes it will achieve global recognition and make others assess the way they communicate on a day to day basis. She said: “I battled for a long time trying to get his peers and educators to communicate with him and adapt to his way of communicating. “So these sculptures are an ironic message really.